This guide brings you information on research and writing processes; covers several citation styles; and links you to research, writing, citing, studying, and subject resources. Contact The Learning Commons for writing, tutoring, workshops (writing and studying). Contact the Research and Instruction Department with research and citation questions. The Learning Commons is your link to free academic support! Designed to promote student confidence, its Writing Center, Tutoring, and Academic Success Workshops help with writing and studying in a range of subjects, in person and online, in one-on-one and group sessions. Whether you are looking to catch up or keep up in your scholastic journey, don't wait--connect with us today! Connect with a tutor/writing coach in 4 easy steps. *Schedule appointments on the go! Click here for instructions for mobiles and tablets. Log into the scheduler for appointment availability, location, length, and format. Plan ahead--come early and often. Be specific in your appointment form. Bring the assignment and any relevant course materials. 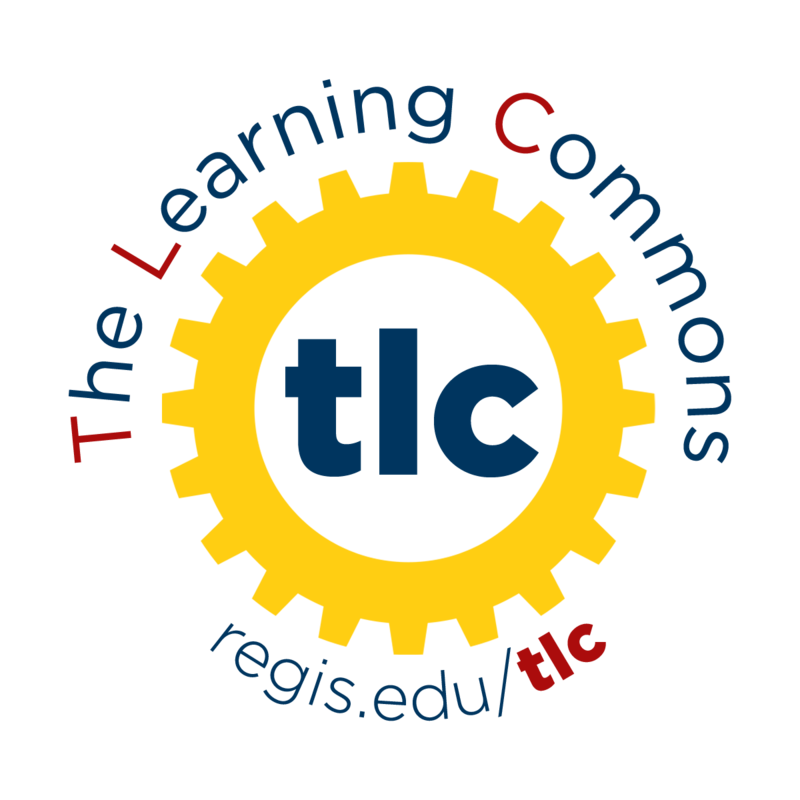 Smarthinking is another free online tutoring for Regis students when TLC's in-house tutoring is unavailable. Regis students receive 10 free Smarthinking tutoring hours per year and access to its "Study Aids" anytime. To maximize tutoring hours, try TLC first. Students who attend these workshops attest to how useful they are. Attend and see for yourself! ¤ Free access to academic guides and tutorials for Regis students: Smarthinking and Atomic Learning. The library does not guarantee the citations created by the following services. It is suggested that all citations are thoroughly checked after creation. EasyBib- Free MLA citation generator. Mendeley- Free, downloadable "reference manager". Zotero- Free, open source tool to help you collect, organize, and cite your research sources. KnightCite- Maintained by the Heckman Library at Calvin College. Cite in APA, MLA, and Chicago. UCSU Citation Builder- Created and managed by NCSU Libraries. Cite in APA, MLA, and Chicago. This is a 3 part tutorial by Kim O'Neill, Research & Instruction Librarian introducing the basics of using Zotero to manage your references and citing while you write. This is a 3-part tutorial on the basics of using Mendeley by Research & Instruction Librarian Kim O'Neill.